My train journey to Celle was not very long, but almost a race, with 3 stops, during which needed to be be quite careful to go to the right platform for catching the train. But after discovering the intriguing Uelzen train station, I was heading to my final destination with more optimism and in a full spring mood. Despite the relative cold, Celle welcomed me with a lot of green areas and sun. From the Bahnhofstrasse, I headed to the center with a small stop in a nearby park. 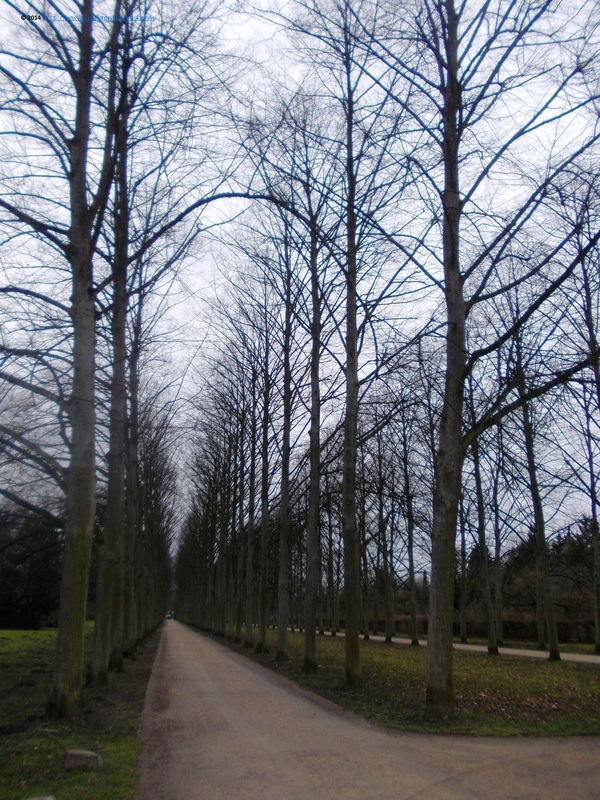 The first stop, the castle, situated in the middle of a carefully manicured English garden. The castle was built in the 13th century, and went through different transformations: the fortifications were demolished in the 18th century, and one century later, the English garden was added. 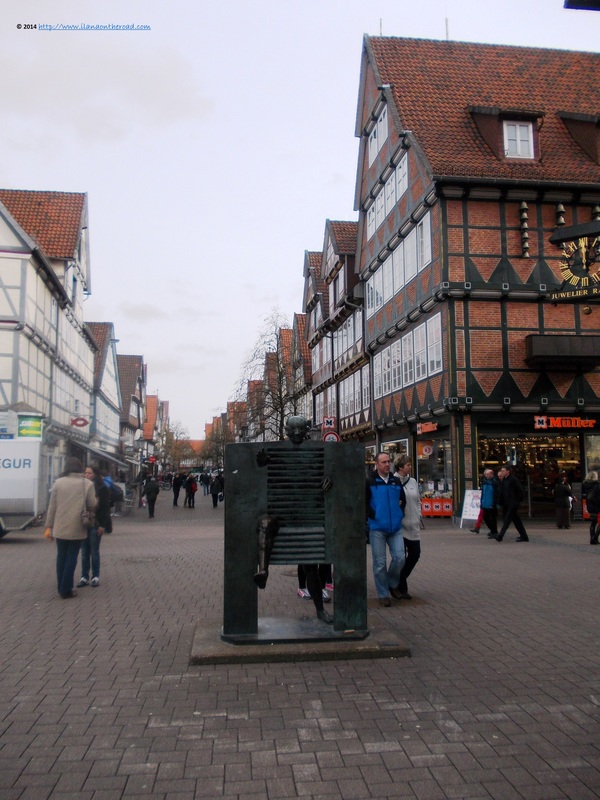 Celle was strongly connected to Hannover through local family ties, and later on the genealogical tree, with the Swedish, Danish and the British dynasties. 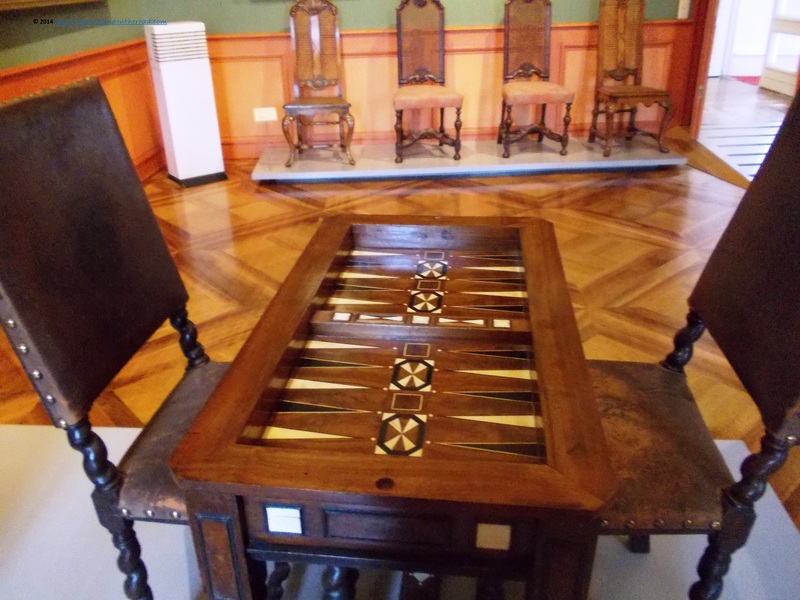 The permanent exhibitions present besides the local history also various insights about the table protocol and various society games played by the nobles when they were not fighting or hunting. My main interest was the impressive collection of silver and gold tableware produced by local goldsmiths and artisans. 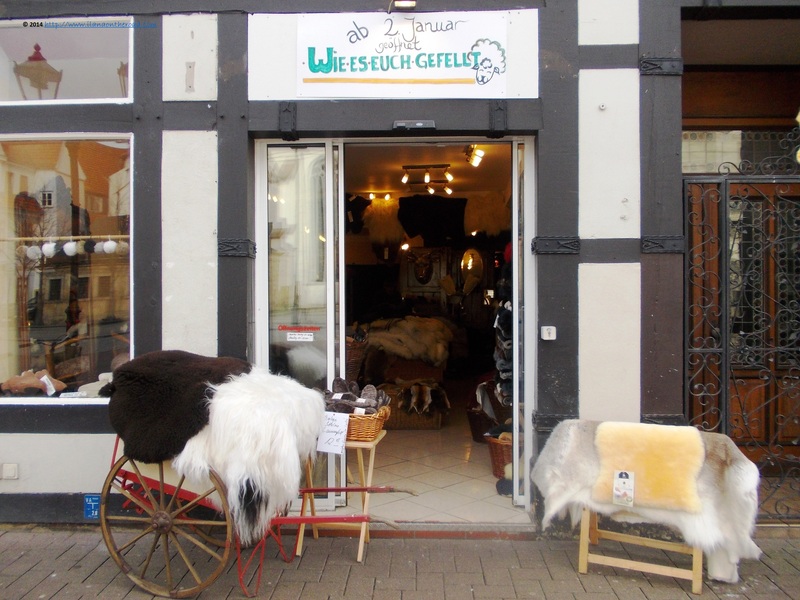 After a short walk, I enter in the colourful world of the Celle traditional houses. Many of them are hosting various shop selling traditional shops and products, including pottery, but also Persian carpets. One of my favourite was the Gewurz/Spices Kontor, displaying the rare spices. 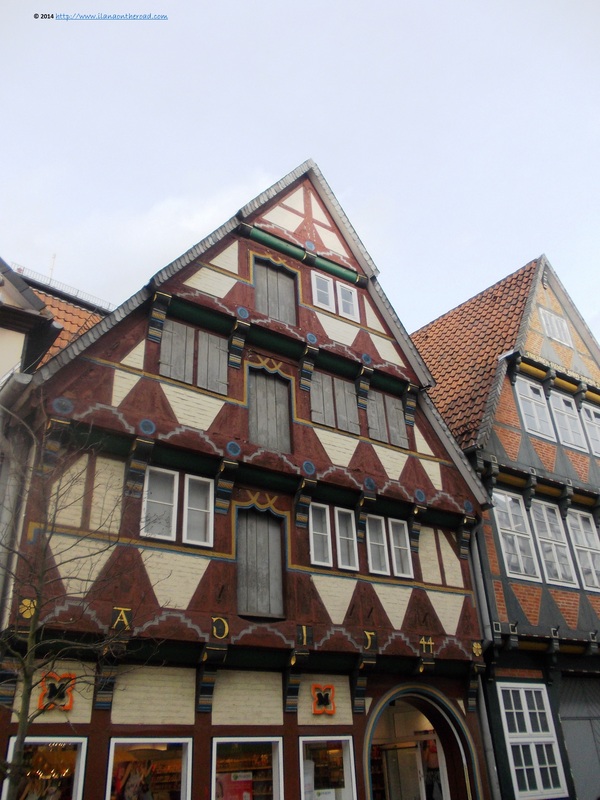 Compared to the style of the similar half-timbered houses from the Harz region, in Celle the diversity of colours is bigger, and the volumes are differently balanced. It also seems that they were either better preserved or built on a larger area than in the case of most parts of Harz I visited. All the important shops and local institutions are hosted in such heritage houses, including the Police Department. 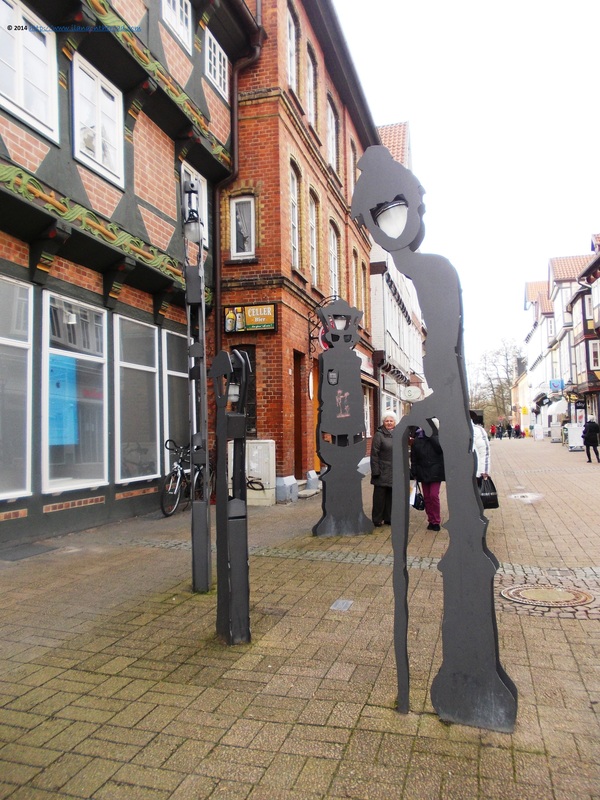 One cannot complain of too much traditional style, as surprising works of modern art can be found sparsely in the middle of the old cobblestones walking area. One of the funniest presences are the talking lanterns, who are regularly having their own discussion about the daily life in town and its customs, at least twice the hour. Even the lanterns need some breaks, isn't it? Walking the streets near the central area showed more colourful houses. It seems that each is different and telling a different story. People are out shopping or walking around, but the overall pace is quiet and without the usual rush of the busy big city life. 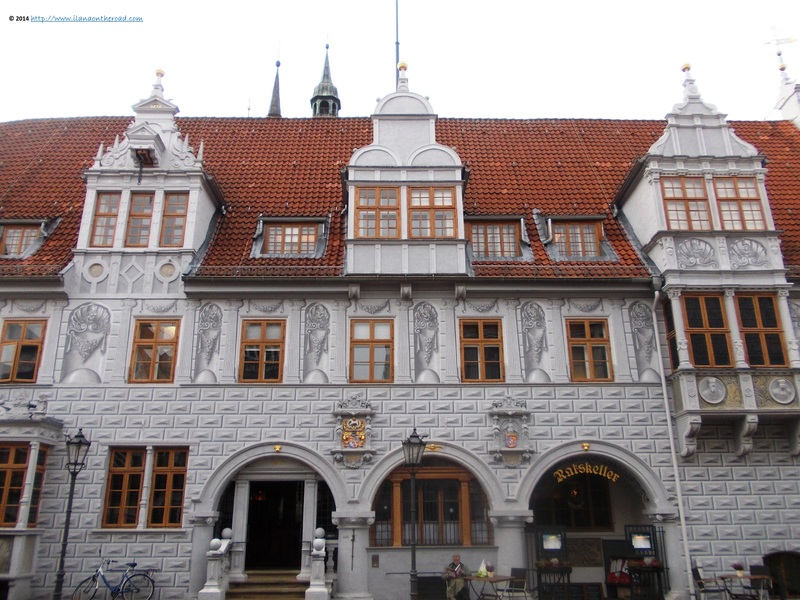 The old city hall is decorated with trompe l'oeil, a different style from the overall architecture of the place but still interesting for the regional art history. Here is situated the tourist information office, where I am welcomed and treated with a lot of useful information. The city hall in use is a huge red bricks building, almost 15 minutes away from the center. I took the full advantage of the good weather and take a long walk in the French garden around the new city hall. Only the recently returned birds fighting near the lake nearby are breaking the silence. After the quiet detox, I am back in the main city area, ready to have more discoveries. 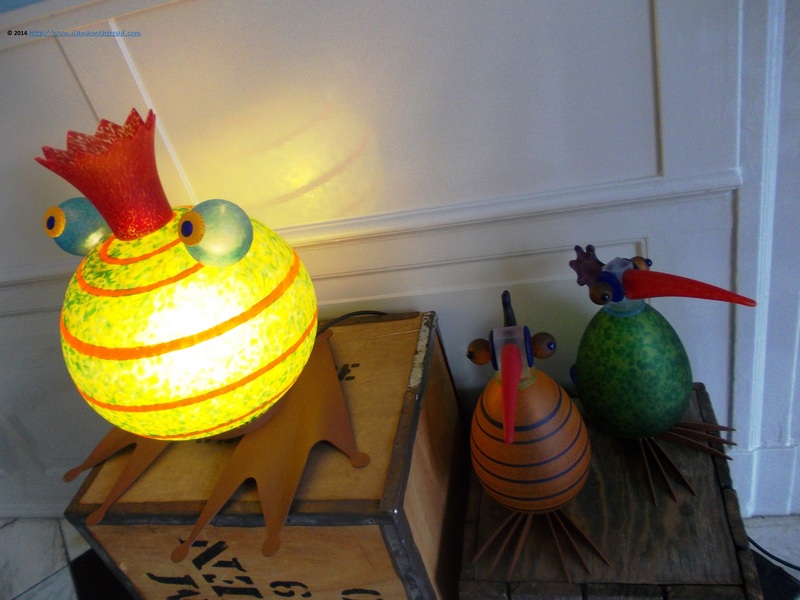 I got to know the colourful little glass creatures from Gallery Halbach, I smell the coffee in the 19th century old Huth Coffee and check the local bakery Roenetz. The sun is gone and I am hungry and I dream about a good meal. The biggest disappointment is that around 14.50, when I want to have my lunch, all the restaurants in the central area are closing till 17.00, the time when with a bit of luck will be on my way back home. With only the fast foods open, I rather prefer to hang around the old houses for a while, waiting for a late supper at home. 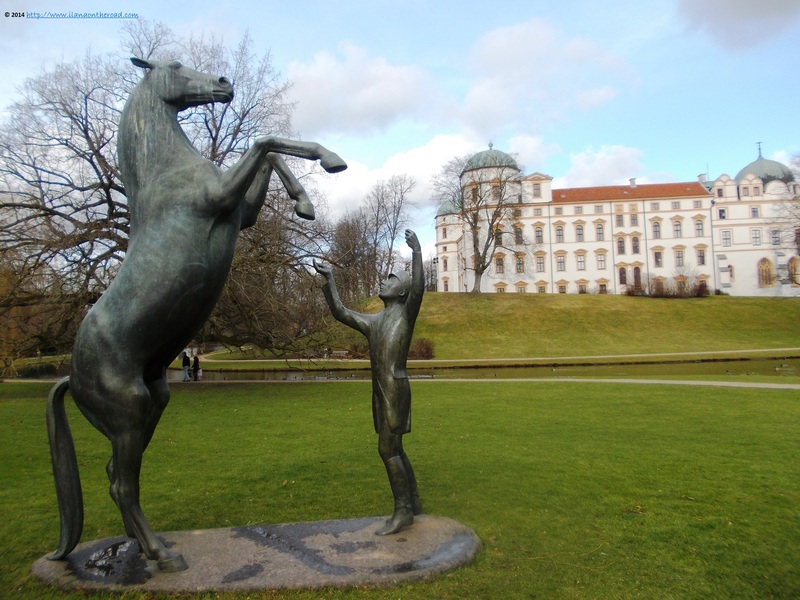 After I visited the Castle, I noticed the Bomann Museum on the opposite side, but I refrained my temptation to continue my museum hopping and kept it as the last stop in Celle. 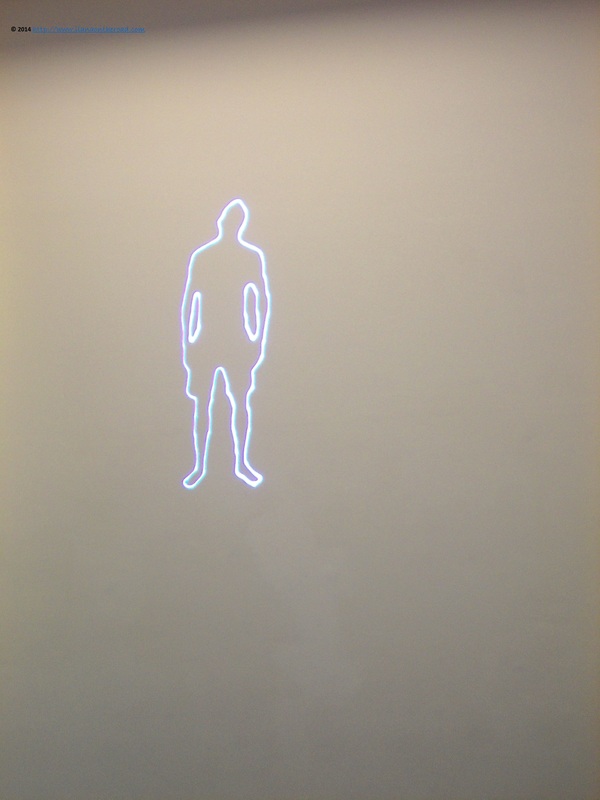 It was a good idea, as I needed almost 2 hours to go through the entire exhibition rooms. At the end of my trip, it brought a lot of information about the local material culture and civilization, the history of the Hannover dynasty and also some modern art light installations. Last but not least, Tansey miniatures displayed in only a couple of delicate paintings an entire history of culture and civilisation in this German-speaking part of the world. At the beginning of another exhausting train hopping adventure, I kept thinking that many places are modest enough to disclose all their secrets. 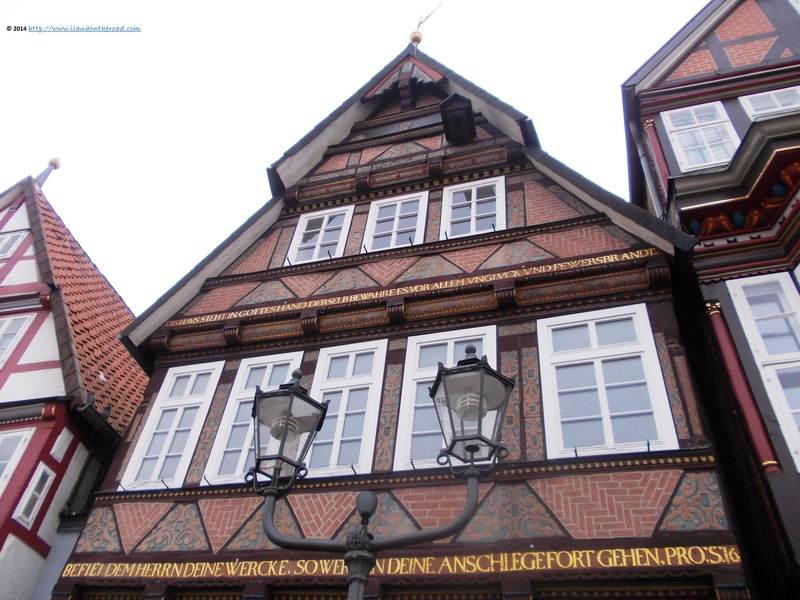 Celle is an open history book not only of Germany, but also of Europe and the trip there connected some interesting historical and cultural dots.